Sized for magazines and/or tri-fold literature. 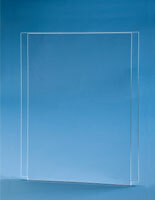 Precision cut from a single clear 1/8" thick panel. Dividers easily adjust to accommodate different sizes of literature. The multi-brochure pockets are able to disperse important information quickly and effectively when used with one of our cable display hanger systems. 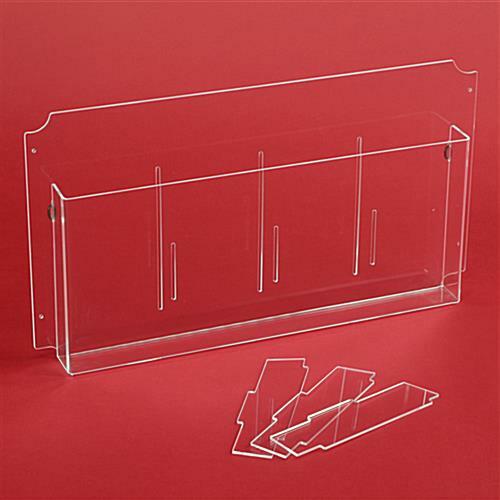 Use this plastic literature compartment to inform customers about your items and services while they are waiting. 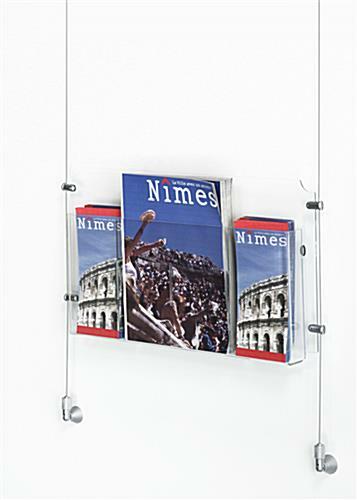 These multi-brochure pockets offer choices for showcasing magazines, tri-fold leaflets, or a combination of both styles. 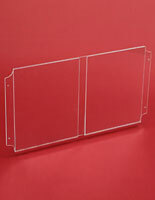 The multiple pamphlet holders feature a design that is constructed from one piece of 1/8" clear acrylic, which makes them durable. These multi-brochure pockets save time during set up of the display. Instead of having to attach each container and run extra cable, only the 4 corners of this unit need to be fixed to cables. The multi-brochure pockets have dividers that are quite simple to adjust. 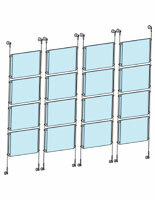 Just unhook 1 or 2 of the fasteners from the back tabs and the unit will be able to hold magazines. The multi-brochure pockets will need to have the o-rings reattached when the new configuration is completed. When these steps are finished, the plastic pamphlet container is ready to hold literature. 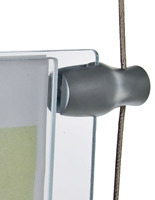 The multi-brochure pockets have holes in each corner that allow them to be fixed to wires from a suspension kit with clamps, which are not included with purchase. 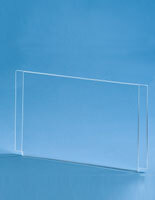 Use these acrylic literature displays in conjunction with cable mounting systems and customers will flock to them. 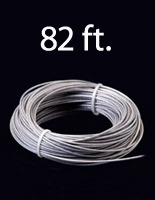 20.0" x 11.0" x 1.8"